The school year is off to a great start and all school teams are working together without issues. Everyone has a positive attitude each and every day. Teachers leave meetings with a sense of efficacy and support all the decisions that come from administration. Well, maybe not exactly. But we can dream, right? 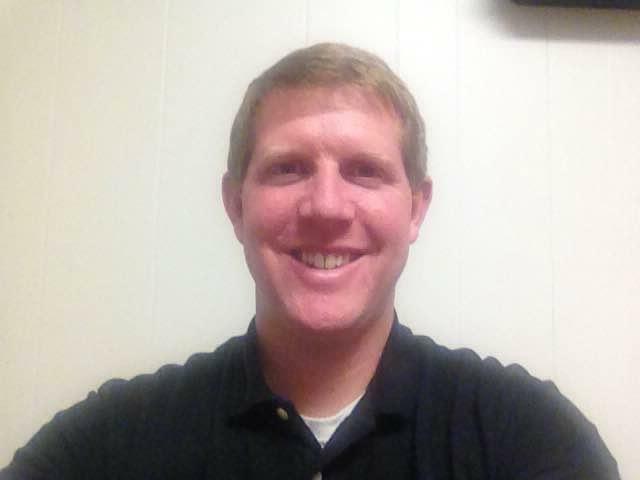 I have been part of 18 different school years thus far in my career, and each year is filled with highs and lows. At times, there is a positive energy in the school and the culture is great. Other times, it feels a little more like “work” and there are top-down decisions that are hard to support. How can teachers and school leaders work to create frequent “highs” with minimal lows? Maintaining teacher trust is one key factor. In part one, we discussed how to start off on the right foot and build trust with others around the school. In this article, we will assume trusting relationships already exist and focus on how to keep them. The golden rule of trusting relationships is “Do what you say you are going to do.” This is very simple to say, but can be very hard to do. Many factors can make this difficult: time, resources, effort, lack of buy-in, shift of focus, and more. Be transparent: If something falls through the cracks, apologize and take the hit. No one is perfect, and hopefully the issue is a small one that doesn’t cause a lot of stress. It is okay to change, but communicate the change: Sometimes after a leader says, “We are going to get started ________,” something else comes up that doesn’t allow this to happen. This is okay. The only way these situations damage trust is when there is no communication about why things changed. We hope to keep these changes to a minimum because too much of these can make all the changes seem disingenuous. Use data/be objective: This can come back to the change that was just mentioned. If leaders are data driven, they should follow the data. If we start an initiative and tell everyone to get on board, we may have to come back and get everyone “off board” if the data shows us that we are not being effective. As much as possible, we must stay objective in these situations and not allow emotion to get the best of us. Data doesn’t lie, so we should let it help guide us to make the most impact. The same is true for teacher teams—if achievement data shows us that we need to focus on a particular area, the team must be willing to adjust goals and expectations to meet student needs. Keep it manageable: This comes down to planning well at the start, but it is easier to do the things we say we are going to do if we limit the things we say we are going to do. It sounds simple when written down, but we have so many focuses and initiatives in education that sometimes we do too many things and don’t do any of them well. Admit that you don’t have all the answers: This actually builds trust instead of damaging it. To admit we aren’t sure about something shows that we are humble enough to know what we don’t know. It is good to then further the learning in order to become an expert and build credibility. Apologize if needed: Apologies help repair any harm we may have caused. If harm has been caused and no repair happens, it can fester into a toxic situation. The best rule for teachers and principals is to apologize early and often for any mistakes that come up. It is also important to model this forgiveness with others—if you want them to forgive you when you need it, you must forgive them when they need it. 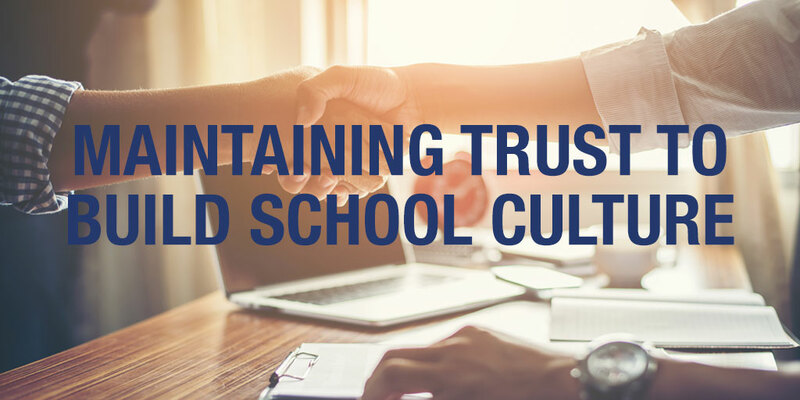 By maintaining trust within the school setting, the ideal positive culture may become the norm in your school. And even if it isn’t a perfect learning paradise for all students and teachers, it can at least be a place of trust and security. Want to stay up to date with the latest news and trends in education? Be sure to subscribe to our Educator blog!